Meet our great looking 2013 Mazda CX-5 Grand Touring FWD shown off in Black Mica. 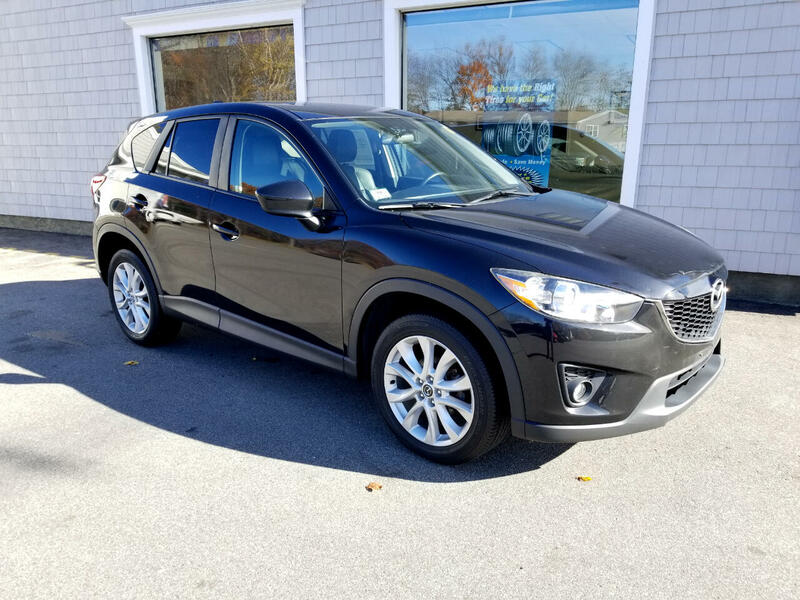 This machine features Mazda's 2.0 Liter providing 155hp while tethered to a precision crafted 6 Speed Automatic that adds some enjoyment to your drive and with up to 35mpg. Enjoy the ability to drive right past the gas stations smiling from ear to ear. The exteriors Soul of Motion design is complimented with bold halogen headlights, fog lights, sporty alloy wheels and an aerodynamic rear spoiler. Once you've found your way into the sophisticated leather-trimmed cockpit, you will be surrounded by premium materials and advanced features for your convenience. Heated front seats, 8-way power drivers seat, remote key-less entry, Bluetooth, 5.8 inch color touch-screen display, 40/20/40 dual split-folding rear seat-back, and a Bose premium audio system w/9 speakers are just a few of the features provided.